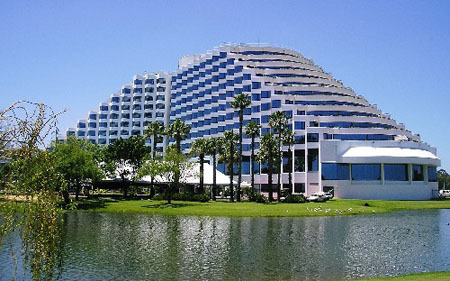 The entertainment complex lies on the Swan River, close to Perth. It has day and night casino, several resturants, two 5-star international hotels, nightclub and many other means of entertainment. The casino has more then 1500 slot machines, and there are a multitude of different games to play at the tables. The park surrounding the casino has a heritage trail with several statues, wildflower display and a golf course. 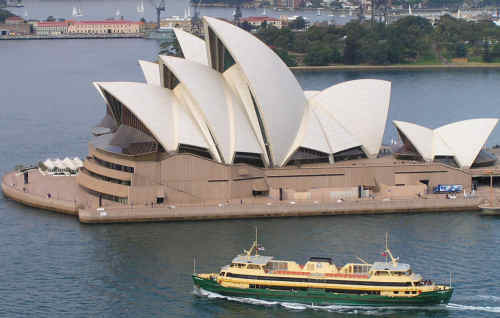 Opening in 1973, the Sydney Opera House is a architectual masterpiece, credited the Danish architect Jørn Utzon. It was completed in 1973 after 15 years of construction. Now it is listed as a UNESCO World Heritage Site. It is a center for a variety of cultural performances including opera, ballet, theatre and orchestra. 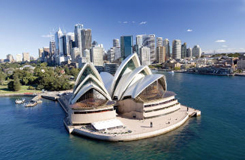 Every year it is visited by about seven million tourist, making it one of Australia's most visited attractions. 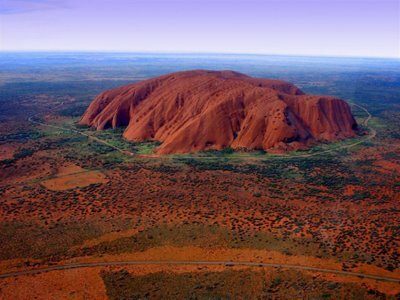 Uluru, also commonly know as Ayes Rock, is an ancient sandstone rock formation in the heart of Australia. It is 348 maters tall and has a circumference of 9400 meters. The entire formation is red, and it seems to be one very large rock, since there are no joint or connections. It is a sacred place to the Aboriginals. Also it is localy known to have five different seasons. It is the home of a variety of rare and restricted plants. Uluru is part of the Uluru-Kata Tjuta National Park. Tourist may enter the park at a small fee and it is a very popular site for climbing.